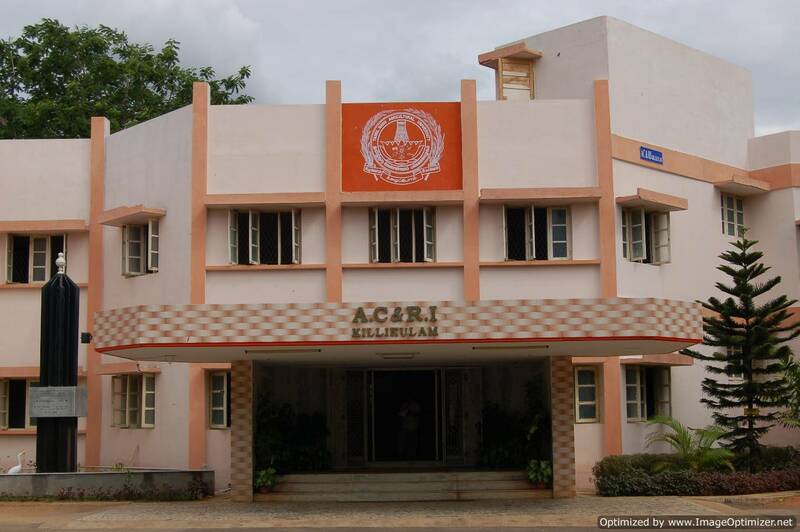 The Agricultural College and Research Institute, Killikulam was established in 1984 - 85 as the third constituent College of Tamil Nadu Agricultural University. At the beginning, the College started functioning in rented building of MDT Hindu College, Pettai in Tirunelveli. Subsequently, after the acquisition of lands and buildings from the State Seed Farm, Killikulam, a part of the educational activities was shifted to Killikulam during 1986-'87. Consequent on the completion of hostel buildings, entire academic activities were shifted to Killikulam campus from 01.11.1989. The institution was upgraded as Agricultural College and Research Institute in 1989. The college was also upgraded as a Post-graduate teaching institute from November 1990. The first batch of B.Sc. (Ag. ), graduates passed out in 1988. The institution was made into a co-education institution from 1990-'91.